Great studio---more like a one bedroom. The owners live there so they were waiting for us. The gps took us very close---to the police station where we found public parking in the lot. The place was though an archway ( have your back to the police station) which took you to the pedestrian only street which is a quiet extension of the main tourist shopping street. It was very clean and well organized. And it was in the center of Vallon. Lovely house in central location. Clean and comfortable. Comfy and clean room in a traditional town house. Having the small kitchen facility was really useful and meant we could buy salad stuff to eat in. The location is very good, just far enough from the centre to be nice and quiet at night. Lovely interesting town, if a bit touristy! No surprise! Tania was very friendly and helpful. The room had everything we needed (note that bedding was provided but towels weren't). We didn't use the kitchen (save for the wine opener :D) but it looked like it would be decent enough to put together a simple meal and save on restaurant prices. There was a great market in town so if we'd stayed longer we probably would have done this. It was clean. Traditional building. Great location. Die Pension befindet sich in der Altstadt. Sichere gedeckte Parkplatzmöglichkeiten für Motorräder sind nicht vorhanden, jedoch um den Häuserblock rum kann parkiert werden. Ich erachte es als sicher, keine Probleme und auch genug Platz. Das Zimmer inkl. Küche mit Grundausstattung und Bad (mit Dusche) ist gemütlich und mit Sinn fürs Detail (stilvolle Bilder) ausgerüstet. Man fühlt sich sofort wie zuhause. Einziger Nachteil ist das Kofferschleppen in das 3 OG. Aber Hilfe wurde angeboten. Essen in der Altstadt ist vorzüglich. Alles in allem kann ich "Chez Tania" nur empfehlen. Danke und gerne wieder. 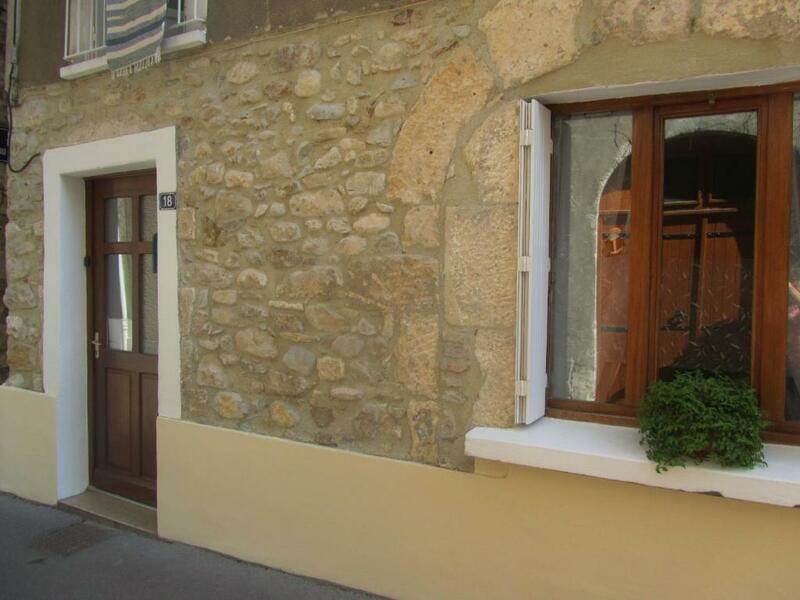 Lock in a great price for Chez Tania – rated 8.1 by recent guests! One of our best sellers in Vallon-Pont-dʼArc! Located in Vallon-Pont-d’Arc, Chez Tania offers self-catering accommodations. The property is 3.1 mi from Gorges de L'Ardeche Natural Reserve. The studio offers a seating area, a full kitchenette with a refrigerator and private bathroom with a shower. Vallon-Pont-d'Arc is 3.1 mi away. When would you like to stay at Chez Tania? 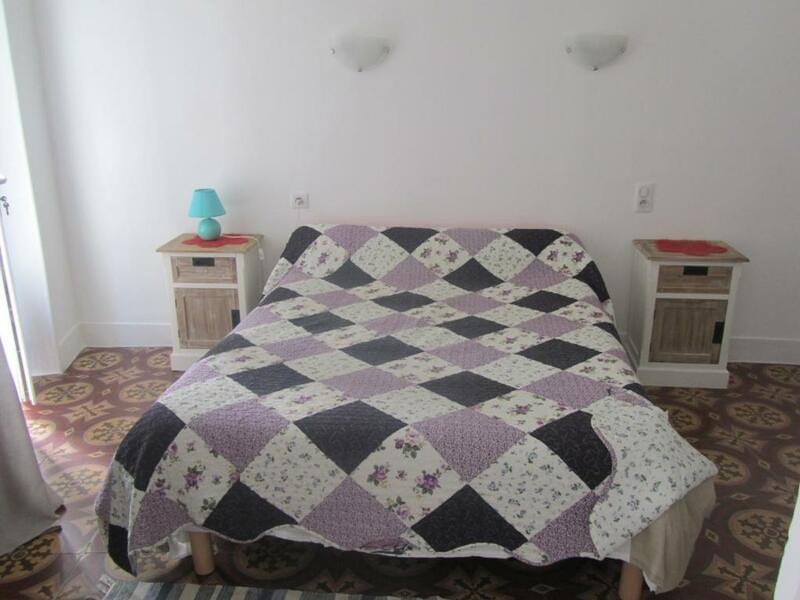 The studio offers a full kitchenette with a refrigerator and private bathroom with a shower. House Rules Chez Tania takes special requests – add in the next step! Please note that cash and checks are accepted methods of payment. Please note that bed linen is provided but guests need to bring their own towels. Not very welcoming. Toiletries and towels for after showering in the bathroom would have been appreciated. They did not offer towels. And the stuff did not speak any English the whole time, making it very difficult to have a simple conversation regarding check in and check out, even thought (as we found out in the last day) at least one person from the staff knew english. We also had a problem with delaid trains and we had to find someone who would speak French...because they wouldn't wait for us another half an hour to have the check in (mind you, they have their apartment at the first floor, our apartment at witch they had to come half an hour later was at the second floor). No aircon, no wifi, no tv and no towels provided. Shower very small if you are a larger person. We should have stayed longer! There is canoeing, etc. down the river gorge.